Social Media Marketing Training has been designed to give you the skills, knowledge, insights and tools that will immediately help to improve your organization’s marketing goals. In addition to this, students get amazing opportunity to practice social media marketing techniques on most recent projects. After completing the Social Media Marketing Training, you will be in a position to get a job as a Social Media Marketing Analyst or promote your own business in an effective manner. Who can learn Social Marketing Marketing Training in Bangalore? Why Social Media Marketing from I Digital Academy? Do I get access the Social Media Training Course Material? Yes, students will be given a hard copy and digital copy of the Social Media Training course content. If in any case I'm unable to complete the Social Media Training program due to personal issues, will there be an extension? You can join back any of the existing class within 6 months and from the date of registration. Who can apply for this Social Media Training Course? Do you provide Instalment facility to the aspiring students and how does it work? Will I get Certification for Social Media Training Training? Do you support Placement assistance post completion of Social Media Training Course? We offer placement assistance to all the students for upto 6 months from the date of registration. 4.9 out of 5 based on 2314 ratings. I Digital Academy, Bangalore. This institute is having a very friendly atmosphere. The trainers are very friendly with us who will have a good interaction with the students and clear all our doubts anytime. You can also gain hands-on experience while learning. Most importantly, the course fee is pocket friendly with excellent services provided which is worth of it. Digital Marketing Courses in Bangalore from I Digital Academy will help you to learn the most advanced Online Marketing concepts using latest Digital Marketing tools and techniques. Practical Digital Marketing classes at our Digital Marketing Training Institute ensure you implement all the Digital Marketing skills on live projects and get hands-on experience in Digital Marketing. This Digital Marketing Course will let you explore various digital marketing platforms, strategies, marketing techniques, and opportunities to promote business online with the help of Advanced Digital Marketing in an effective and efficient manner. Attend Digital Marketing Classes at i Digital Academy and get an opportunity to apply marketing techniques on over 4 live online marketing projects. The Internet marketing course covers most in-demand modules like SEO, SEM, PPC, Adwords, Search Network, Display Network, Social Media Management, and Marketing, Email Marketing, Content Marketing, Web analytics etc. All these Digital Marketing Modules are carefully chosen as per industry requirements to match client-side and agency roles for Digital Marketing profile. 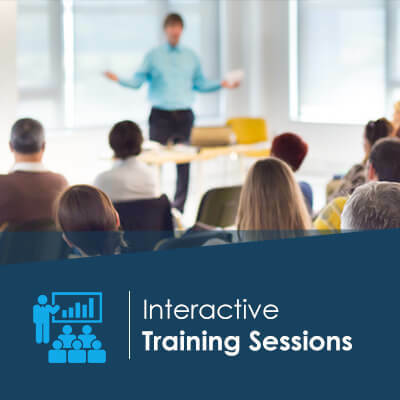 As a result of our unique training methodology of dynamic lectures, live Digital marketing case studies and group discussions will enable you to research, explore and study Digital Marketing in the most efficient and interactive manner. You also gain access to over 50 free digital marketing tools that will help you to improve your digital marketing and brand-building skills in the Digital Marketing Training Process. After Successful completion of Advanced Digital Marketing Course, you will fully understand various Digital Marketing channels and activities required to plan, implement and manage a comprehensive digital marketing strategy. You will be in a position to strategize, create and effectively manages SEO, search, social media, mobile, PPC, display and email marketing campaigns, and learn how to drive and improve leads and conversion online. Why Learn Digital Marketing Course? Who can learn Digital Marketing Courses in Bangalore? Read more about Career in Digital Marketing here. SEO Training in Bangalore will also explore how websites are viewed and evaluated by search engine spiders, and how to speed up the SEO indexation process. We also provide Digital Marketing Courses in Bangalore where you will learn about a range of specialist tools that are available to help common search engines find, view and rate websites. Our SEO Training Classes will also cover off-page elements of optimization including inbound linking and techniques that can boost a website’s inbound link popularity. You will recognize how SEO is content-driven, and understand the importance of creating fresh, relevant and original content to enhance your ranking. This SEO Training module will enable you to monitor and manage your SEO activity by setting a baseline and regularly measuring activity against your pre-determined goals. What is the future of SEO Training in India? SEO is gaining traction in Indian markets and is growing at an alarming rate. The current situation demands that every business needs an SEO expert to manage their online presence. Despite their size, organizations need the support of strategic SEO planning to improve their visibility across web platforms. There are various SEO jobs in the digital marketing industry and graduates can take advantage of this progressive industry if they are students are properly trained in SEO as per industry standards. Digital Marketing companies are catering to both domestic and international clients and that demands professionals, learned on current market requirements and changing trends in SEO industry. Who can learn SEO Training in Bangalore? Why Should I Learn SEO from I Digital Academy? SEO Experts at I Digital Academy will teach you to step by step process to implement all the SEO factors using white hat techniques recommended by Google. This SEO tutorial is designed for students, professionals and business owners from all background. After successful completion of the SEO Course, you will be able to work on increasing website ranking using advanced SEO techniques. Our institute will provide a live project to work on. 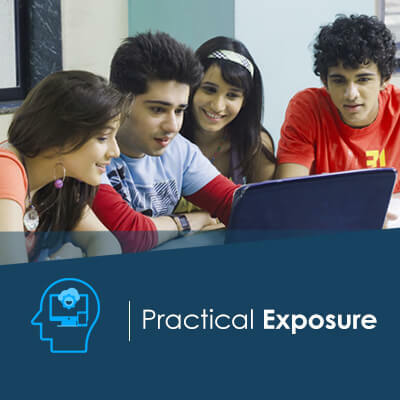 PPC Training in Bangalore, BTM Layout offered by I Digital Academy enables the students to learn the most advanced concepts of paid advertising. PPC Training covers all forms of paid advertisements like PPC, Search Advertising, Display Advertising, Shopping Ads, Mobile Ads, and Video Ads. At the end of the PPC Training, you will be eligible for Google certification for Adwords provided by Google. We offer 100% Placement Assistance for Students after successful completion of the PPC Course. During the PPC Course, also Know as SEM(Search Engine Marketing) Course we teach you to optimize your website and ads to outperform the competition using effective PPC and Display campaigns. Know how to drive high-quality traffic to your site by learning and practicing keyword research and implementation strategies, social media leveraging tactics, and video, image and landing page optimization. Identify how to reach your marketing goals by including strong SEM techniques and paid search strategies along with the overall digital marketing plan. This SEM course will cover planning pay-per-click campaigns, keyword groups and geo-targeting to get the most out of your paid search engine marketing. Learn to manage and optimize your campaigns for improved performance and value-added content to be leveraged across all online channels. Measure the success of these techniques to evaluate what works best for website conversions. Why PPC Training from I Digital Academy? What will I learn during the PPC Course? Who can learn PPC(Pay Per Click) Ads in Bangalore? Google Analytics Training has been designed to give you the skills, knowledge, insights, and tools that will immediately help to improve your organization’s marketing goals. In addition to this, students get amazing opportunity to practice Google Analytics techniques on the most recent projects. After completing the Google Analytics Training, you will be in a position to get a job as a Google Analytics Analyst or promote your own business in an effective manner. Who can learn Digital Marketing in Bangalore? Why Google Analytics Training from I Digital Academy? Who can learn E-mail Marketing in Bangalore? Why Email Marketing Training from i Digital Academy? Who can learn Affiliate Marketing in Bangalore? Why Affiliate Marketing Training from i Digital Academy? Web Development Courses in Bangalore offered by I Digital Academy in BTM Layout, Bangalore. Our Web development Training is designed for all the students who are looking forward to build their career in Web Development. Students who are willing to make themselves ready by learning all the updated software and tools used for building a website. I Digital Academy makes sure that the gap between the academics and the industry standards & Demands are filled by learning Web Development Course with Us. I Digital Academy mainly Focuses on providing a complete experience to each and every student on the all the aspects i.e. both on Front End Development and the Backend Development. You might be an experienced candidate who has just joined to upgrade your skills or you might be a fresher who is just our of the college and is trying to explore all the possible web development applications and tools, We provide you the best Web Development training in Bangalore where you can learn all the basic level website development and design as well as the advanced development. Web Development Trainers at i Digital Academy? Trainers at i Digital Academy are experienced professionals and skilled Website Development Trainers to conduct web development courses with a very good experience. We help you to build your career by providing you all the required skills which will make you ready as per the industrial standards. Our web development courses include all the latest trends and CMS websites in the syllabus which would give an added advantage to the students who learn Web Development course in Bangalore. You can complete your Web Development Course by building your own website side by side while you learn all the concepts. This will help you to gain practical knowledge and will make you ready to start your career as a Web Developer. Why Learn Website Development from i Digital Academy? Who can learn Web Development Courses in Bangalore? Any student who is familiar with some of the basic concept of website development and wants to build a career in web development after completing web development courses in bangalore can opt for this course. You need to have some basic knowledge of OOPS i.e Object Oriented Programming Language. I Digital Academy mainly Focuses on providing a complete experience to each and every student on all the HTML and CSS related Concepts i.e. both theoretically and Practically which is a frontend development work and you can easily check the HTML and CSS code is working by opening it any browser. You might be an experienced candidate who has just joined us to upgrade your skills or you might be a fresher who is just out of the college and is trying to explore all the possible HTML and CSS applications. In either of the ways, we can provide you the best HTML and CSS training in Bangalore where you can learn all the concepts from the basic level to the advanced development which includes all the concepts from HTML5 and CSS3 which is the latest form of scripting used to build a website. We have a very good staff consisting of all the professionals and skilled Trainers with a very good experience. We help you to build your career by providing you all the required skills which will make you ready as per the industrial standards. We mainly train students on how to build very attractive and user-friendly websites by training them from the basic fundamentals. Hypertext Markup Language (HTML) is the standard markup language for creating web pages and web applications. Cascading Style Sheet (CSS) is the language for describing the presentation of Web pages, including colors, layout, and fonts. It allows one to adapt the presentation to different types of devices, such as large screens, small screens, or printers. The HTML and CSS Training Course will help you to boost your knowledge and skills which will help you to improve and to become a very good and successful UI Developer using all the basic concepts which are in HTML and CSS as every website building starts from HTML and CSS. We framed our syllabus to match with the real world requirements for both beginner level to advanced level. We have a very good staff consisting of all the professionals and skilled Trainers with a very good experience. We help you to build your career by providing you all the required skills which will make you ready as per the industrial standards. We mainly train students on how to build very attractive and user-friendly websites by training them from the basic fundamentals. I Digital Academy mainly Focuses on providing a complete experience to each and every student on all the AngularJS aspects i.e. both theoretically and Practically you can get trained. You might be an experienced candidate who has just joined us to upgrade your skills or you might be a fresher who is just out of the college and is trying to explore all the possible AngularJS applications and tools, in either way we can provide you the best AngularJS training in Bangalore where you can learn all the concepts from the basic level to the advanced development. AngularJS Provides developers an option to write client application in MVC (Model View Controller) way. Photoshop Course in Bangalore offered by I Digital Academy in BTM Layout, Bangalore is designed for all the students who are looking forward to building their career in Photoshop and Graphic Designing and to learn all the Photoshop Designing Tools. We, at I Digital Academy, are making our students ready by training them on all the updated software and tools used for designing. I Digital Academy makes sure that the gap between the academics and the industry standards & Demands are filled by learning Photoshop Design Course with Us. We assure you that once you complete your Photoshop Course at I Digital Academy, you would be ready to start your work as our major focus is on all kinds of Practical Training. I Digital Academy mainly Focuses on providing a complete experience to each and every student on all the Photoshop Tools aspects i.e. both theoretically and Practically you can get trained. You might be an experienced candidate who has just joined us to upgrade your skills or you might be a fresher who is just out of the college and is trying to explore all the possible ways of Photoshop applications and tools, in either way we can provide you with the best Photoshop Course in Bangalore where you can learn all the concepts from the basic level to the advanced development. We have a very good staff consisting of professionals and skilled Trainers with a very good experience. We help you to build your career by providing you with all the required skills which will make you ready as per the industrial standards. We mainly train students on Photoshop’s Basic fundamentals to Expert level. Photoshop is not only a tool but also an art of learning and designing new pictures, designs, and logos for any firm or any business in any format. The Photoshop Course will help you to boost your knowledge and skills which will help you to improve and to become a very good and successful Photoshop Graphic Designer. It includes all the fundamental concepts of Getting Started with Photoshop, PAINTING IN PHOTOSHOP, WORKING WITH THE PEN TOOL, Painting tools, filling and stroking, brush selection, layers etc. You can learn all the concepts all these three Tools and start implementing practically as you learn. This would also help you to get trained slowly and become a skilled professional. The Demand for Graphic Designers is increasing day by day as everyone needs new and creative ideas for their business and promotions. Without Photoshop it is not possible for anyone to promote their business and offers attractively. We cover most of the topic and we teach all our students in a very flexible way by keeping in mind all the ability and potential of each and every student. We have structured the course in such a way that every individual can learn and grasp all the topics very easily. We also include all the latest trends and updates in the syllabus which would give an added advantage to the students who learn Photoshop course in Bangalore with I Digital Academy. You can complete your Photoshop Course by implementing all the theoretical training to practicals and which will enable you to get all the practical experience and training. You can Develop your skills & build your portfolio by learning with us. You can also gain some experience in the working environment as you will get an opportunity to work in real time and do all the implementation. Graphic Design Course in Bangalore offered by I Digital Academy in BTM Layout, Bangalore is designed for all the students who are looking forward to building their career in Graphic Designing and to learn all the Designing Tools. We at I Digital Academy are making our students ready by training them on all the updated software and tools used for designing. I Digital Academy makes sure that the gap between the academics and the industry standards & Demands are filled by learning Graphic Design Course with Us. We assure you that once you complete your Graphic Designing Course at I Digital Academy, you would be ready to start your work as our major focus is on all kinds of Practical Training. I Digital Academy mainly Focuses on providing a complete experience to each and every student on all the Graphic Designing aspects i.e. both theoretically and Practically you can get trained. You might be an experienced candidate who has just joined us to upgrade your skills or you might be a fresher who is just out of the college and is trying to explore all the possible ways of Graphic Design applications and tools, in either way we can provide you with the best Graphic Design Course in Bangalore where you can learn all the concepts from the basic level to the advanced development. We have a very good staff consisting of professionals and skilled Trainers with a very good experience. We help you to build your career by providing you all the required skills which will make you ready as per the industrial standards. We mainly train students on Photoshop, illustrator and Coreldraw by training them from the Beginning of basic fundamentals. Graphic Designing is an art of learning and designing new pictures, designs and logos for any firm or any business. The Graphic Design Course will help you to boost your knowledge and skills which will help you to improve and to become a very good and successful Graphic Designer. It includes all the fundamental concepts of Getting Started with Photoshop, PAINTING IN PHOTOSHOP, WORKING WITH THE PEN TOOL, etc. You can learn all the concepts all these three Tools and start implementing practically as you learn. This would also help you to get trained slowly and become a skilled professional. The Demand for Graphic Designers are increasing day by day as everyone needs new and creative ideas for their business and promotions. Without Graphic Design it is not possible for any one to promote their business and offers attractively. We cover most of the topic and we teach all our students in a very flexible way by keeping in mind all the ability and potential of each and every student. We have structured the course in such a way that every individual can learn and grasp all the topics very easily. We also include all the latest trends and updates in the syllabus which would give an added advantage to the students who learn Graphic Design course in Bangalore with I Digital Academy. You can complete your Graphic Design Course by implementing all the theoretical training to practicals and which will enable you to get all the practical experience and training. Illustrator Training in Bangalore offered by I Digital Academy in BTM Layout, Bangalore is designed for all the students who are looking forward to building their career in Illustrator and Graphic Designing and to learn all the Adobe Illustrator Designing Tools. We, at I Digital Academy, are making our students ready by training them on all the updated software and tools used for designing. I Digital Academy makes sure that the gap between the academics and the industry standards & Demands are filled by learning Illustrator Design Course with Us. We assure you that once you complete your Illustrator Training at I Digital Academy, you would be ready to start your work as our major focus is on all kinds of Practical Training. I Digital Academy mainly Focuses on providing a complete experience to each and every student on all the Adobe Illustrator Tools aspects i.e. both theoretically and Practically you can get trained. You might be an experienced candidate who has just joined us to upgrade your skills or you might be a fresher who is just out of the college and is trying to explore all the possible ways of Illustrator applications and tools, in either way we can provide you with the best Illustrator Training in Bangalore where you can learn all the concepts from the basic level to the advanced development. We have a very good staff consisting of professionals and skilled Trainers with a very good experience. We help you to build your career by providing you with all the required skills which will make you ready as per the industrial standards. We mainly train students on Illustrator’s Basic fundamentals to Expert level. Illustrator is not only a tool but also an art of learning and designing new pictures, designs and logos for any firm or any business in any format. The Illustrator Course will help you to boost your knowledge and skills which will help you to improve and to become a very good and successful Illustrator Graphic Designer. It includes all the fundamental concepts of Getting Started with Illustrator, Using the workspace, Learning essential skills, Adding colour, Using the drawing tools, Additional colour options etc. Learn Adobe Illustrator like a professional. You can learn all the concepts all these three Tools and start implementing practically as you learn. This would also help you to get trained slowly and become a skilled professional. The Demand for Graphic Designers is increasing day by day as everyone needs new and creative ideas for their business and promotions. Without Illustrator it is not possible for anyone to promote their business and offers attractively. We cover most of the topic and we teach all our students in a very flexible way by keeping in mind all the ability and potential of each and every student. We have structured the course in such a way that every individual can learn and grasp all the topics very easily. We also include all the latest trends and updates in the syllabus which would give an added advantage to the students who learn Illustrator Training in Bangalore with I Digital Academy. You can complete your Illustrator Training by implementing all the theoretical training to practicals and which will enable you to get all the practical experience and training. Corel Draw Training at i Digital Academy are designed to train students, professionals, artists and design enthusiast with the most advanced knowledge and features of CorelDraw software. After completing the course, you will be able to demonstrate all the design skills and concepts individually. Corel Draw Trainers at I Digital Academy are professionals with eight years of experience in Corel Draw and other related tools. 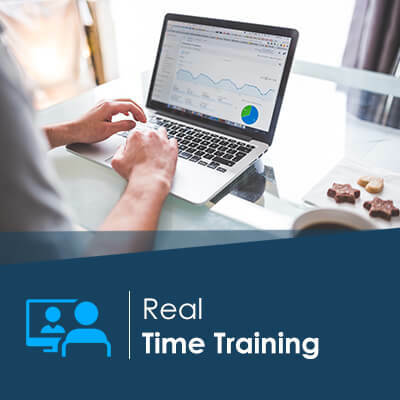 You can get real-time knowledge and experience from the trainers and get an opportunity to work on trainers projects during the training program. Our Corel Draw course is in contrast with the official Corel draw modules. This enables you to learn corel draw in most efficient and effective manner. All training are conducted based on real time scenarios with practical exposure. This will ensure that you master all aspects of corel draw software. Who can take Corel Draw Tutorials?